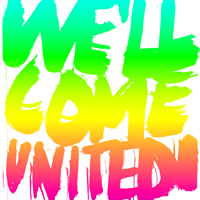 We'll come united! Am 28. September 2018 in Hamburg - Armut und Gesundheit in Deutschland e.V. Am 29.9. wird es in Hamburg eine große bunte antirassistische Parade geben. Für eine Solidarität ohne Grenzen und für gleiche Rechte für Alle! Auch aus Wiesbaden wird ein Bus fahren. Der Bus wird in der Nacht von Freitag (28.09.2018) auf Samstag (29.09.2018) um 00:30 Uhr losfahren. Treffpunkt ist das Kulturzentrum Schlachthof (Murnaustr. 1, 65189 Wiesbaden). Zurück geht es am Samstag nach der Demo. Bus Tickets kosten 10 bis 40 Euro. Du zahlst, soviel du kannst. We are many more than we guess. We want to tell our stories – stories of flight and deprivation of rights, authorities and racism, welcoming and staying. We´ll come united: For politics of solidarity. Together for all – on September 29th in Hamburg! The demonstration will start on September 29th, 12:00 o'clock in the center of Hamburg (Rathausmarkt). From Wiesbaden, a bus will travel to Hamburg. As the route to Hamburg is long, we will leave in the night from Friday 28th to Saturday 29th September: Departure time is 00:30 in the night. After arriving in Hamburg, we will go straight to the starting point of the demonstration. In the evening we return from the place of the final manifestation to our sleeping place. The next morning we will travel back to Wiesbaden all together. We will meet at 22:00 to share last information on the events of the 29th in Hamburg, make last preparations and get together. The Bus tickets are available for 10 Euro - Wiesbaden-Hamburg-Wiesbaden. But you are welcome to pay more, if you can. Can everyone go to Hamburg?